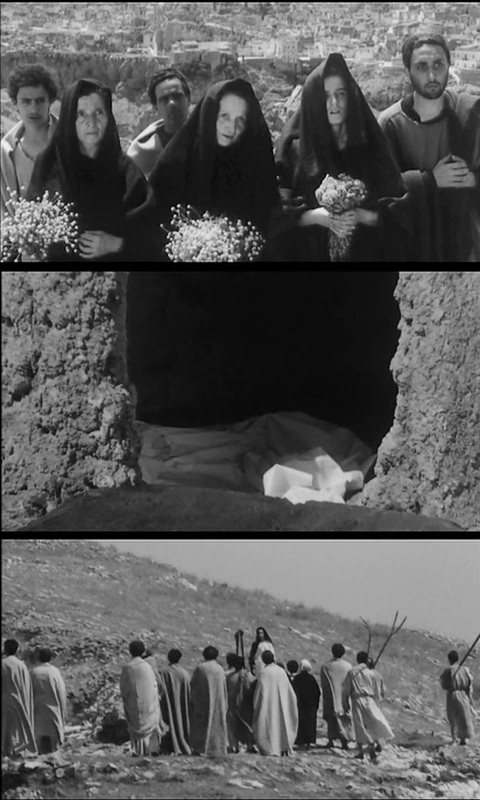 Images from the the last 4 minutes of Pier Paolo Pasolini’s 1964 masterpiece “The Gospel According to Saint Matthew”. The sequence starts with the descent of Christ’s body from the cross, his burial, & the subsequent visit to an empty tomb. The film ends with Jesus telling the disciples that he will always be with them. The music is a beautiful mixture of Bach & the African Missa Luba. The atheist director tells much of the story with the faces of the non-professional cast, using words from the Gospel sparingly, in an authentic, neo-realist style. The cinematography is by the great Tonino delli Colli.